Anton is an Ophthalmic Photographer working in a major hospital Ophthalmology Unit photographing various eye conditions and entities. He grows orchids as a hobby and takes photos of them using this site to show his plants to members of an Internet Orchid Forum which he is a member of : www.OrchidGeeks.com. Also he has an interest in nature photography, seascapes, cityscapes, photographing Australian native orchids in the wild, and to a lesser degree, landscapes. 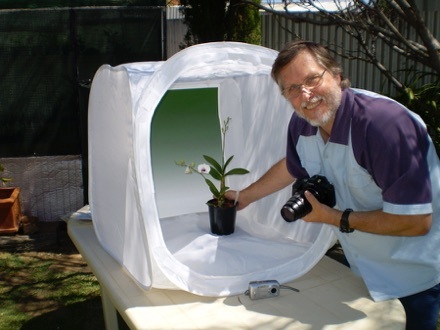 This site is a vehicle for him to share his various photographic interests with colleagues, friends and fellow orchid growers. Anton hopes you enjoy your visit here and return in the future as it is regularly updated.